Working with beeswax has been an exciting adventure. 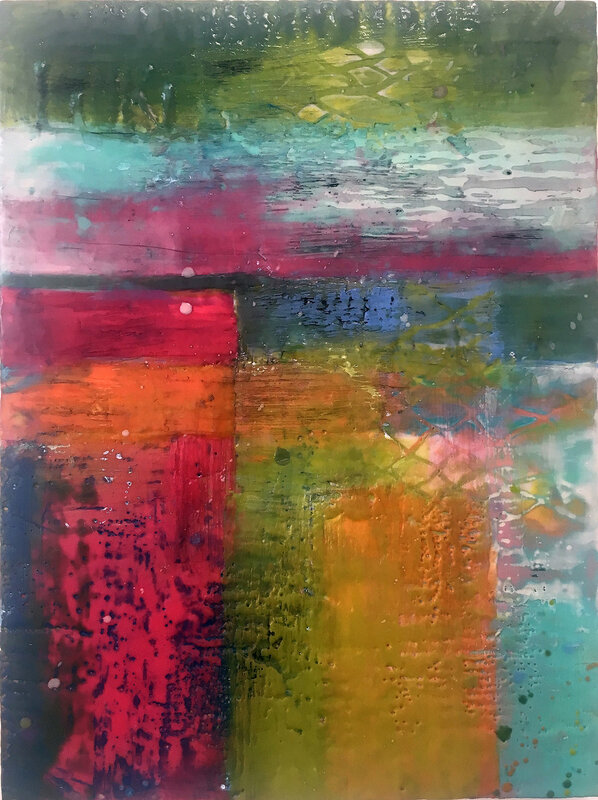 I wanted more depth and surface to work with, and when I discovered Encaustic painting, it felt like coming home. 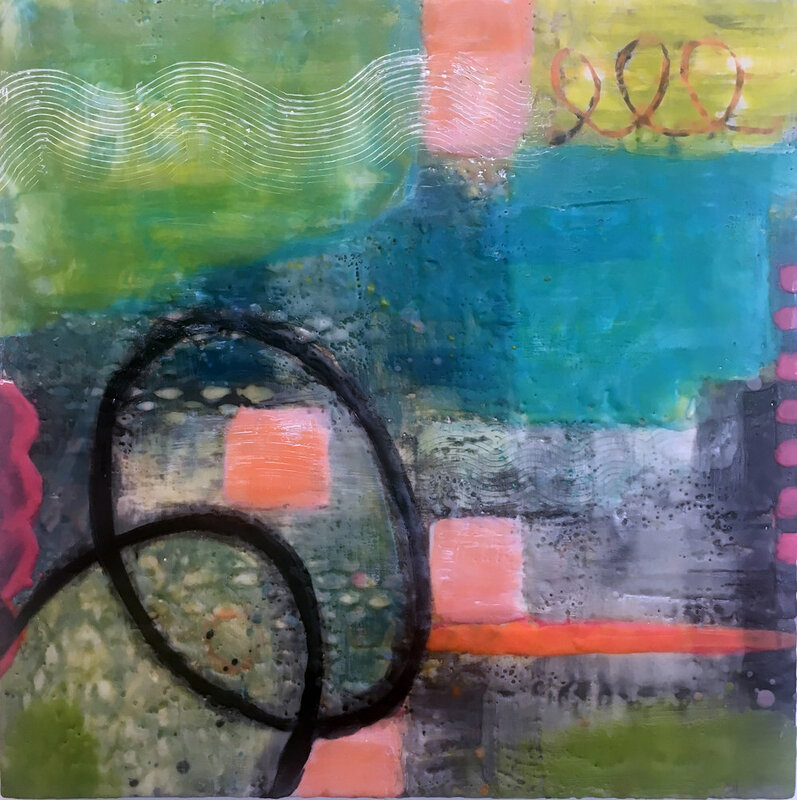 This series shows my adventure with layering, scraping, mark making, stenciling and color. Collectors have purchased many of these. 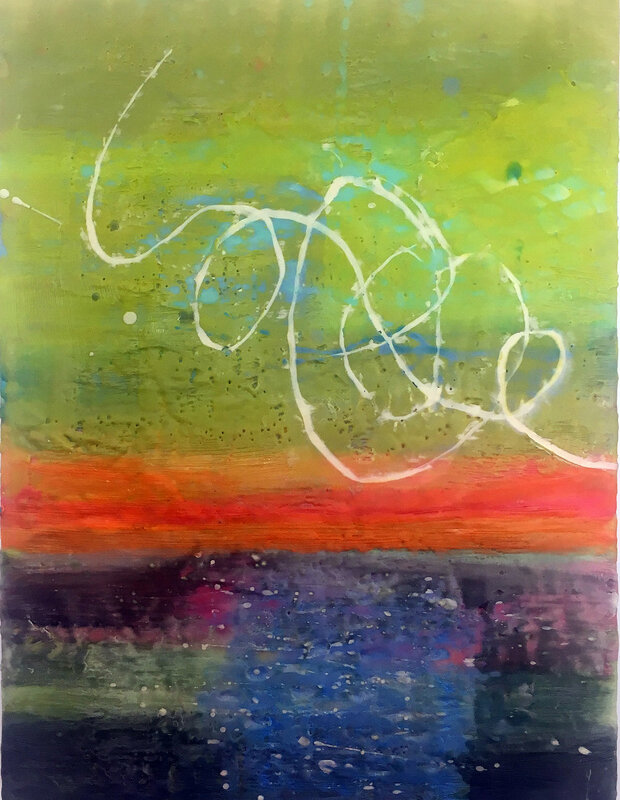 I am currently giving encaustic workshops throughout the Bay Area. After the Fire 18" x 24"
Love Knot 24" x 18"
Only You 24" x 24"
Sailing Through Diptych 18" x 48"
Windy Day in May 24" x 30"